The Internet never stops surprising me! Within minutes of releasing an email notifying some papers, journals, websites of the freely accessible databases on the Irish Origenes website, a picture of me and my boys appears on the Irish American News webpage, that was quick, the article can be read here. After all my hard work I am very pleased that Tourism Ireland has linked to my website . I am hoping that I can get a similar link from the UK tourist boards for both Scottish and English Origenes websites. Irish Origenes can now be found on Facebook please feel free to come visit, comment and post suggestions! All feedback is much appreciated! Go to The Wild Geese blog to see my latest interview! 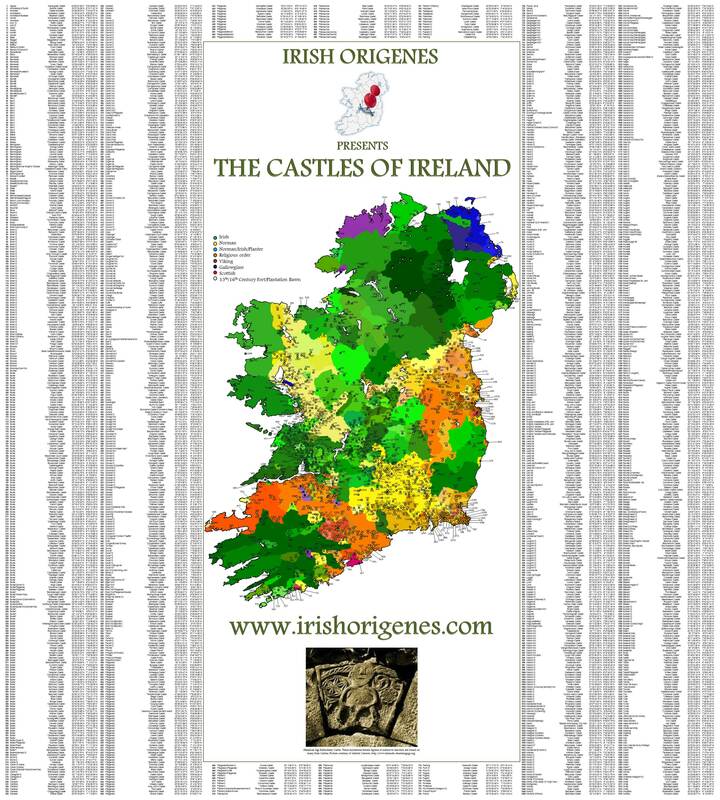 Now available the most comprehensive Clan map of Ireland (free for members, $29.99 which includes postage for non-members). Irish Origenes are delighted to be affiliated with Family Tree DNA. You can order your 37 marker Y Chromosome test from Family Tree DNA today and begin finding your ancestors and long lost relatives. It took me a few weeks, but I am very proud to have completed this.